Brewer: Can you tell me about the background of your company? Why did you start it? How has it changed since you started it? Ska Fabricating: Ska Fabricating was started by Matt Vincent, the third partner in Durango’s largest and most award-winning craft beer brewery, Ska Brewing. 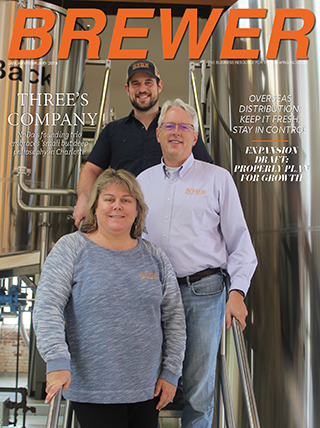 Matt invented and built dozens of devices over the years to help Ska Brewing achieve efficiencies in the brewing, packaging and distribution of their beer. But the strong demand for one of those machines, the can depalletizer—a steel framed machine that automatically lifts layers of empty cans from the pallets they arrive on and feeds them onto a canning line’s conveyor belt—inspired Matt to start a new company, Ska Fabricating™. 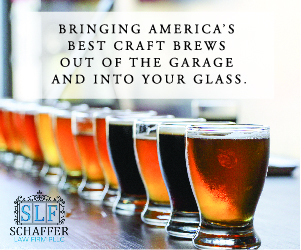 The original small footprint and affordable can depalletizer was an immediate hit in the craft brewing marketplace. Ska Fabricating™ began in June of 2012 in a 500-square foot space west of Durango, but relocated in November of 2013 to a 5,000-square foot warehouse just across the Animas River behind Durango’s Home Depot store. At that time, machinist Dan Morris joined the company as Vice President and partner, bringing years of CNC machining expertise as well as the equipment—CNC machines and a waterjet table, which expands the company’s ability to create custom equipment tailored to the client’s needs. In February of 2016, Ska Fabricating™ bought the building at our current location, 545 Turner Drive. The company now employs 30+ people, manufacturing and selling depalletizers, conveyors and packaging line equipment to businesses around the world. Now that there are an estimated 5000+ craft breweries in the U.S. and growing, there is a prime market for Ska Fab depalletizers, and other brewery-proven products. We have provided over 400 businesses with depalletizers in 48 states, and 14 countries. Brewer: How has growth in the craft been industry changed the way you do business? Ska Fabricating: The growth of the craft beer industry really hasn’t created much changed in the way Ska Fabricating does business. What it has done is create more customers and helped us foster relationships with hundreds of brewers. Brewers talk to each other and because of that our reputation has grown in the market. We value our customers and work extra hard at developing long term relationships and servicing their needs. The biggest change for Ska Fabricating has been managing the growth of our company and the processes involved with manufacturing. Brewer: What sort of clients do you work with and how do you adapt to their needs? Ska Fabricating: Ska Fabricating began with brewers that saw (or heard about) the Can-i-Bus depalletizer at Ska Brewing and wanted one. Now Ska Fabricating has an international client base with diverse products and needs. As the client base has grown so has the product line supporting those clients. 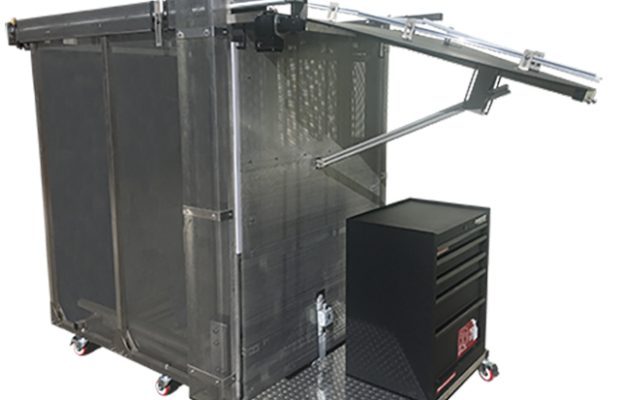 The Ska Fabricating product line now includes depalletizers that will handle a variety of products from aluminum, glass and composition containers. We have designed specialty equipment that will handle variety of sizes and shapes of containers. In addition, we also build a palletizer / repalletizer for companies that need to put containers back on pallets. Ska Fabricating has entered other markets outside of the craft sector to include coffee, water, pharmaceuticals, spice containers, soda, orange juice, and many others. Brewer: Do you have a client story to share? Something that you are excited to be a part of their success? Brewer: What are you working on right now that you think is forward-thinking and going to help boost a brewery’s growth and innovation? Ska Fabricating: Ska Fabricating has continued to improve the equipment designs that have been so popular in the marketplace while adding new and innovative equipment based on the needs of our customers. This spring we will begin shipping a new Mobile Depalletizer The new depalletizer is designed for mobile canners and breweries with tight space restrictions. It is very light weight and there is no installation required making this depalletizer a great option for international breweries. 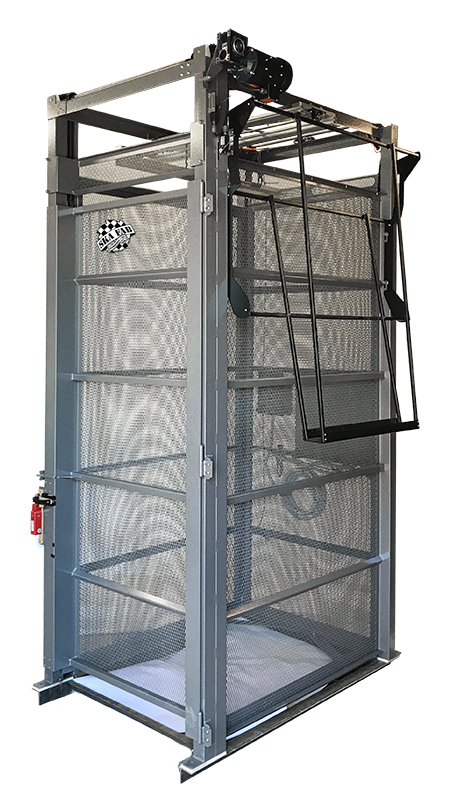 It works with half pallets of aluminum, plastic or composite containers and is specifically designed for low clearance applications such as box trucks or low ceiling heights.